Forget Weight loss – Focus on Your Health First! Each month, there are an estimated 4 million google searches about weight loss. 4 million! On the one hand, that is an astounding number. On the other hand, considering more than one-third of U.S. Adults are obese with two-thirds overweight, along with alarming rates of growing obesity within our youth, suddenly 4 million searches seem just about right. Of even greater concern, this growing obesity epidemic has coincided with increasing occurrences of heart disease, strokes, type 2 diabetes, and other chronic diseases. It appears as if Google has yet to solve our obesity crisis. Why not? It’s not lack of information that is most likely the issue. It’s the lack of attention to our behaviors and habits and our mindset regarding a healthy lifestyle. We live in an impatient world that is addicted to convenience. We expect everything, from our food to our information, to be packed in a neat and convenient package for immediate consumption. It is this attitude that has led many who are suffering from obesity to resort to weight loss drugs or dramatic interventions popularized by T.V. shows such as The Biggest Loser. Unfortunately, neither of these options are making our society healthier. Because weight loss by itself does not equate to better health. And because our health can’t be solved with convenience. 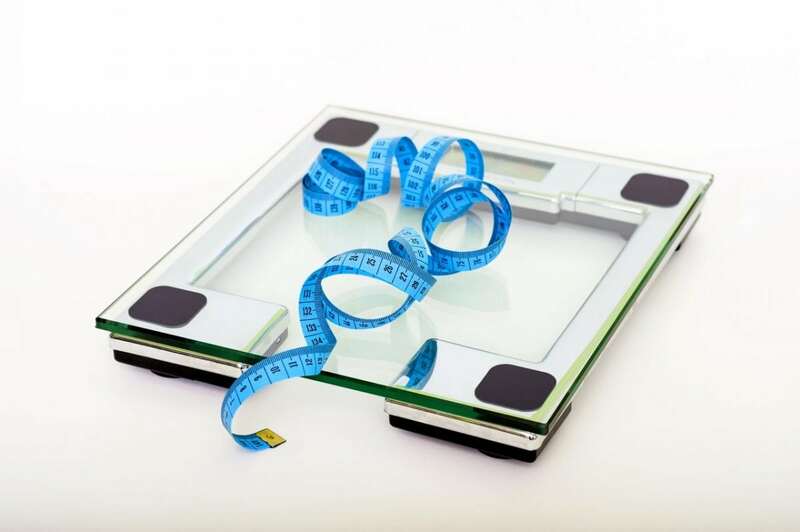 Over the course of the last few years, weight loss drugs such as Qnexa, Contrave, & Lorcaserin have hit the market and have seemingly become the solution for many people’s weight loss problem. But, if you dig deeper, these drugs are anything but a solution. Significant side effects, not to mention exorbitant costs, limit their efficacy. Contrave (ranging from $55 to $200 depending on the plan) demonstrated 9% weight loss after 56-weeks with the most common side effect being nausea (did it work by making people feel sick so they ate less? One has to wonder). Lorcaserin, also known as Belviq (starting at $213), also showed modest results. In its main study, only half of the subjects taking the drug lost more than 5% of their body weight. Once the drug was stopped, most regained the weight. The main side effect again was nausea, along with headache and dizziness. Are you seeing a pattern? Lastly, a panel of FDA advisors recently voted against the approval of Qnexa. It showed a modest 5% weight loss and showed increased depression, trouble concentrating and suicidal thoughts. Hardly a path to health. One of the biggest problems is that these drugs aren’t changing anyone’s behavior toward food. They aren’t changing habits or mindsets. Instead, they’re applying a band aid to the problem, creating a reliance on the drug, and ultimately helping the drug company shareholders more than your health. What else can we do if drugs aren’t the answer? Unfortunately, some have taken it even further to create a surgical form of bulimia. The AspireAssist is a pump that is surgically implanted into the stomach so that you can drain out what you just ate. The studies show that it can help you lose weight. No question about it. But what about your nutrition, vitamins, energy, and quality of life? Apparently, those are less important for some. These weight loss drugs and surgeries are a direct contradiction to the development of healthy habits. Habits that create and maintain our health. It may not be easy to adopt these habits, but easy rarely leads to the best results. Where can America learn the healthy habits that will produce results? The T.V. show The Biggest Loser has caught the attention and hearts of the American public for years. Watching men and women shed pounds along with witnessing the emotional hurdles they overcome is a powerful representation of overcoming health struggles. But there’s a lot of the story that isn’t displayed on the television screen. Contestants are losing weight and following strategies that aren’t kind to their metabolism and aren’t likely to succeed in the future. Astudy done on contestants from season 8 of the biggest loser found the majority regained most or all of the weight, and they showed a significant slowing of their resting metabolism. A slower metabolism makes it that much harder to keep the weight off. In essence, their own bodies were fighting against their efforts to lose weight. If weight loss drugs and rapid weight loss programs aren’t the answer, then what is? We frequently hear about nutrition and exercise, but paying attention to factors such as sleep and stress levels will pay huge dividends with your health and weight loss as well. When your body does not respond well to stress, the increased cortisol and adrenaline hormones sabotage your weight loss efforts, and negatively impact your overall health. A regular mindfulness or meditation practice is the first step in correcting your body’s reaction to stress. Over time, your stress hormone response will diminish and your body will more efficiently lose weight and restore health. The same applies to sleep. A poor night’s sleep is one of the best ways to sabotage our health or weight loss goals. It creates an imbalance in our leptin (I’m full hormone) and our Ghrelin (I’m hungry hormone), thus tricking our body into feeling hungry. That usually results in snacking on nutrient-poor, processed, high-carb foods. In short, a recipe for disaster. This doesn’t mean exhaustive boot camps or rigorous workouts for hours each day. Don’t get me wrong, those are great too. But they are not the only goal. Instead, focus on being active in your daily life. In his book, Blue Zones, Dan Buettner identified the most common habits in societies where people live the longest. Guess what? They didn’t do triathlons or run marathons. Instead, they made regular physical activity a consistent part of their lifestyle. If you can do that and still get your boot camp workouts done, fantastic! If not, don’t let perfect be the enemy of good. Develop the habits that will keep you moving. Start gardening, walk to do your errands, take the stairs. You have heard these before, now you just need to start doing them. Slow and steady truly does win the race. Rapid, extreme weight loss disrupts our hormones and can create long-lasting metabolic changes that counteract our intentions in the future. Focusing on healthy habits instead of weight loss ensures that your body does not react in a counterproductive way. Slow and steady is less likely to trigger deleterious hormonal and metabolic shifts within your body. And most importantly, slow and steady is more sustainable for the long term. If you want to lose 20, 50 or 100 pounds, this can be an overwhelming task. To lessen the psychological toll of such a task, it’s better to break it up into mini goals and get small wins along the way. Small victories can still have health benefits. For example, 5% weight loss in obese individuals results in improved insulin sensitivity, an important factor for diabetes, heart disease, and dementia. The small wins can add up to big wins, and the ultimate goal becomes less onerous and stressful. If weight loss is your goal, stop and ask yourself why. Especially if you have considered weight loss drugs or intensive rapid weight loss programs. Take a moment to think about the difference between weight loss and health. Being skinny but also stressed out and with a disturbed metabolism doesn’t sound like much of a victory. Commit to healthy lifestyle habits, embrace them as part of who you are, and watch the weight steadily fall away. Slow and steady wins the race to your health. START THE BOUNDLESS HEALTH COURSES FREE! Weekly video courses delivered to your email inbox! Sign-up to stay up-to-date with the latest health news and practical tips. Meat and Homocysteine- Irrelevant or Dangerous? LCHF and “Healthy” Whole Grains: Do we Need Them? Hear Dr. Scher on KFMB "San Diego Tonight"
© Dr. Bret Scher 2019. All Rights Reserved. you achieve your best health ever! Choose from any of these valuable e-books, free to download! Learn Dr. Bret’s advice on how to get started with a low-carb/keto lifestyle, which blood tests you should be following and if you really need to be concerned with your cholesterol. Do I Really Need to Worry About My Cholesterol?